Plot 11 Kingswood Place is a 4 bedroom detached home with on-drive parking. It offers a large kitchen / diner with bifold doors onto the garden and a seperate living room. Additionally to the ground floor, there is a utility room and a WC. There are 4 bedrooms to the first floor and two bathrooms, one being an ensuite to the master. 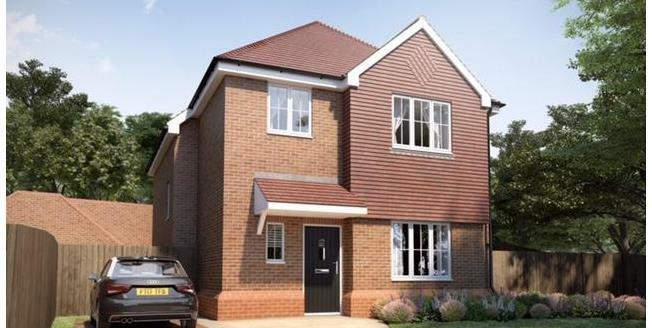 An exclusive development of four bedroom detached and semi detached luxury homes in a secluded residential location in Selsdon. Built by award winning homebuilder, Mantle Developments, Kingswood Place offers family living with the highest contemporary specifications, within this attractive and easily accessible suburb of South London. These impressive, traditional style new homes comprise substantial accommodation set over 2 floors providing a luxury lifestyle in a desirable location. Each property has been designed with all the needs of a modern home in mind, from open plan spacious living, to the highest design specifications, and parking for two cars. The houses are bordered by mature trees within a quiet, residential area, offering all the privacy you'd expect from this exclusive development.